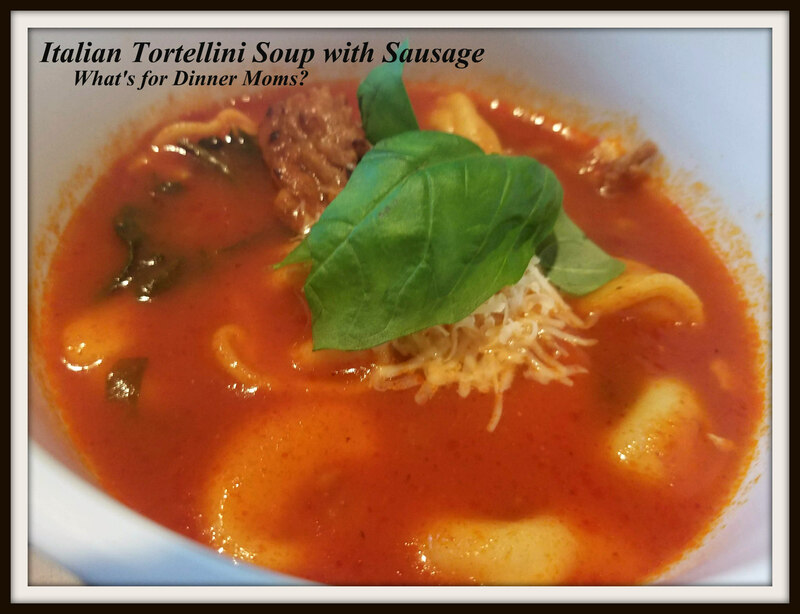 Italian Tortellini Soup with Sausage – What's for Dinner Moms? We needed something quick and easy to make with our Italian sausage. I love sausage but get tired of peppers and onions or pasta sauce with Italian sausage. I ended up making a loaf of herbed bread in the bread maker and thought that soup would be perfect to go with it. This was a nice filling meal. The smell of all the garlic, basil, and sausage was heavenly throughout the house. Both kids wanted garlic bread with this to soak up the tomato broth. Yum! One bowl was enough for me it was so filling. Serve with shredded Parmesan and fresh basil, as desired. Fantastic recipe idea, Marci. 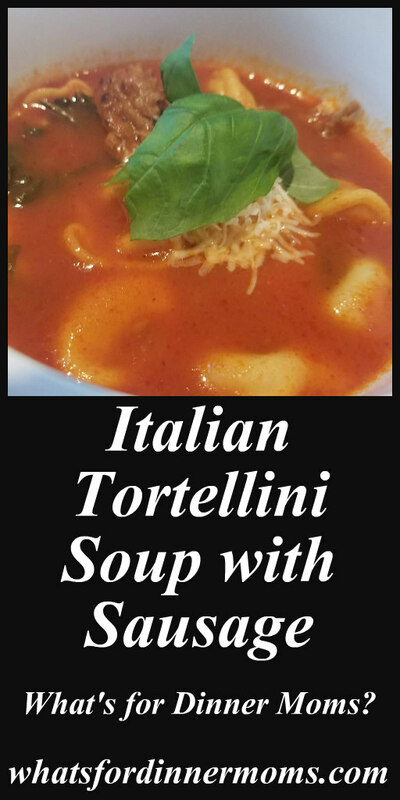 Lately, I experimented a lot with tortellini since I had leftovers for a few evenings. They really are. Now that I have to deal with more leftovers I get much more creative in making something new of them. Looks and sounds delicious, Marci. A dish I would to try out.